Product was provided for free however the review is my honest opinion and includes affiliate links. I recently started receiving wines from the California Wine Club. The wines I received will come from the The California Wine Club Premier series. The series features two wines each month: a white and a red. 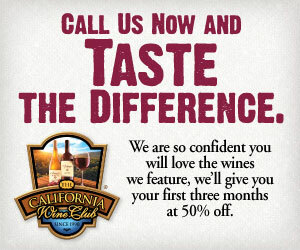 The Premier Club is an inexpensive club for the wines you try. Over the upcoming months I will be rating two California wines. So far I like the choices because the wines are not just from Napa or Sonoma, but also places like Monterey, Santa Cruz, Santa Barbara and even the Sierra Foothills. I can’t wait to try both and write about them. If you are new or old to wine drinking, I think this would be a great affordable club to join and stay with for many years to come. Here is my first of many. We had a somewhat lazy Sunday recently and my parents were coming over for dinner. I had to study for most of the day, so Chris decided to make home-made Butternut Squash Ravioli with grilled flank steak and broccoli. Both my dad and I are huge pasta fans and I was really looking forward to dinner and a glass of wine. 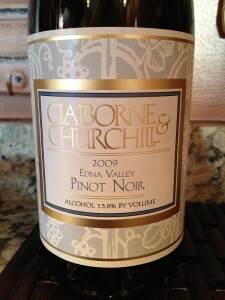 I recently received a bottle of 2009 Claiborne & Churchill Classic Pinot Noir. I figured the Pinot would pair well with Chris’ meal. Prior to Chris plating I decided to pull the cork and try a glass! My dad, who does not drink smelled the glass and said the Pinot Noir smelled really good. I hadn’t tried it yet, but had to agree! 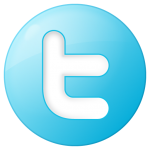 Medium color depth, the clarity is clear. The hue was a nice Ruby. The Pinot Noir was very aromatic and fruity. I noted caramel, vanilla, slight oak, rhubarb and other red fruits. The taste was dry and medium to light-bodied with good acidity. The tannins were medium and soft. I could taste cranberry and light red fruit. I could feel the tannins on the sides of my palate while it was soft and silky. The finish was medium in length. • The fruit was sourced from several vineyards in Edna Valley: 85% Twine Creeks and 15% Wolff Vineyards (Clones #113, 115, 667, Martini and Pommard). • Juice fermented in open-top bins for 7 to 10 days, with punch-downs by hand four times per day. • This 100% Pinot Noir aged for 10 months in all French oak barrels. 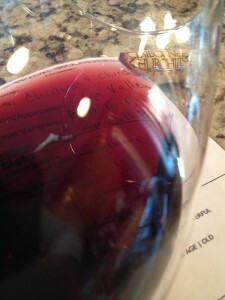 I rated the 2009 Claiborne & Churchill Classic Pinot Noir three glasses. 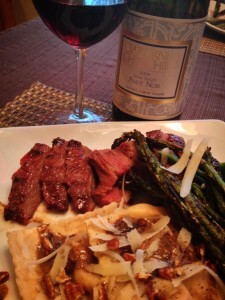 The Pinot Noir paired very well with the meal and I would definitely drink this one again.